Beth Martin Books: What is Art? "Ideas alone can be works of art….All ideas need not be made physical.…A work of art may be understood as a conductor from the artist’s mind to the viewer’s. But it may never reach the viewer, or it may never leave the artist’s mind." I view any form of creating as art, whether it be painting, writing, dancing, cooking, or arranging flowers. As a creative person, I have a few forms of expression. Writing is one of them. I thought I'd share with you today another form of art which I enjoy. 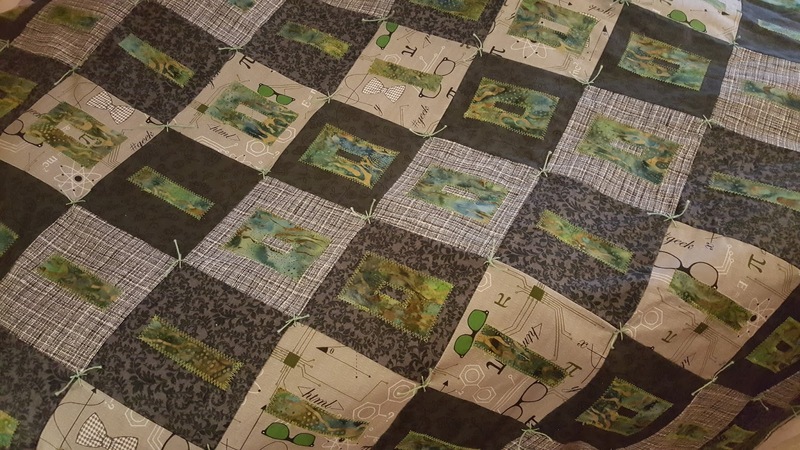 If you've read my about me page, you've seen I also enjoy quilting. 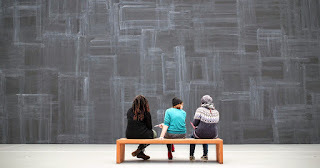 It's not a stretch to consider quilts as art-- they have been featured in several museums including the Smithsonian National Museum of American History. Every step of making a quilt is a form of expression, from creating a design to picking a pattern, selecting fabrics, and how they're sewn together. Like many forms of art, quilting can be passed down from generation to generation. This was not the case for me. My great grandmother made beautiful quilts, and I'm pleased to have one of her quilts at my house, but I didn't get an opportunity to learn from her. The other women in my family knit or crochet (or both) and I have learned both from them, but never really thought about quilts. It wasn't until after my first child was born that I thought about quilting. I wanted to make special blankets and things for my kids, but crochet and knit blankets take a ton of time. I already had a sewing machine which I used only occasionally, and figured sewing something together would be faster than crafting something with yarn. I looked for a tutorial on how to make quilts on the internet and found a series of YouTube videos by the Missouri Star Quilt Company which went through all the steps of making a quilt. It was intimidating, but I knew I could figure it out. My first quilt was made out of precut squares which I simply sewed together. The second quilt, I cut my own squares. By the time I started my third project, I had gotten a cutting mat, ruler, and rotary cutter to make the slicing of fabric into tiny little squares much easier. I had also delved into much more complicated designs and layouts. The great thing about art and creating something is that you leave a piece of yourself in your artwork. Those who have read any of my writing, even fiction, see the reflections of myself in my stories. Similarly, in creating a physical object, I have imparted a piece of myself in it. The design reflects my personality, the colors my personal aesthetics, and each stitch a moment of my concentration. I think this is part of what makes a handmade gift so incredibly special. My dad works with computers, and I wanted to make something for him that gave a nod to my nerdiness and his profession. I decided on a simple grid of squares in grays and greens, but added digits, 1s and 0s, like the binary language computers run on. But if I added digits, I wanted them to actually say something. The finished quilt is 8 squares by 11, so I decided to make each row a character in ASCII. The secret message on his quilt (which is no secret at all) is, "I love you!" He was pleased with his gift this Christmas, and I was so happy to make it for him. Do you agree with my definition of art? What kind of art do you make? Let me know. I'd love to see and experience any of your creations.